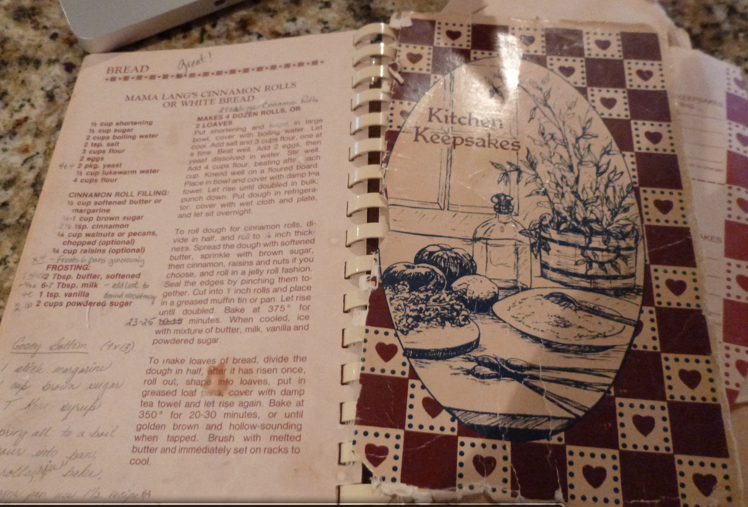 When the cover is falling off, and the pages are stuck together, you know you have a WINNING cookbook! 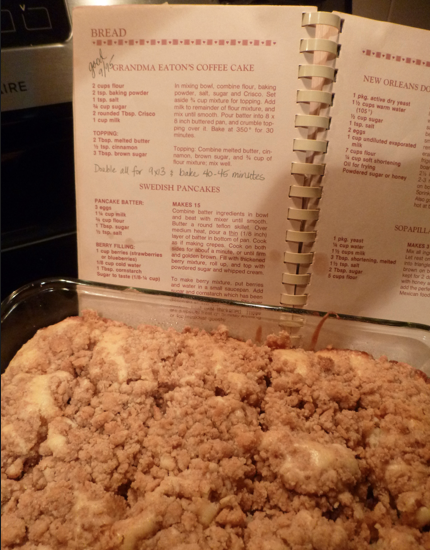 Nila made “Grandma Eaton’s Coffee Cake” for us on a rainy morning, and served with fresh pineapple and hot coffee…The cinnamon wafting through the house is enough to get the sleepy heads out of bed and stumbling down the stairs to get their share before it’s all gone. 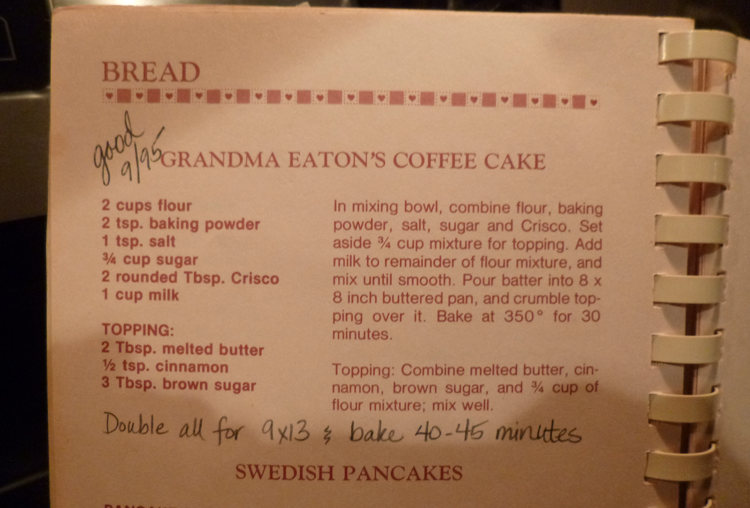 We don’t know who “Grandma Eaton” is or was, but we sure appreciate her recipe! I hope you and your family enjoy this simple yet DELIGHTFUL recipe as much as we do! Thank you Nila & family for your warm hospitality!